Available to U-M students enrolled in classes (or between semesters) and their dependents. Certain international students are eligible for and required to enroll in this plan unless they have health insurance that meets the University's minimum requirements. Exclusively for Graduate Student Instructors, Graduate Student Staff Assistants, Graduate Student Research Assistants, benefit-eligible fellowship holders and medical school students. 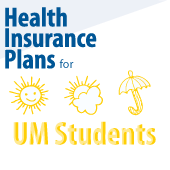 Students who do not have health insurance may be eligible for Medicaid or for help purchasing a plan through the Health Insurance Marketplace.  Current students, faculty and staff from all U-M campuses who travel abroad for University-related purposes must have U-M Travel Abroad Health Insurance. It is also available for personal/leisure travel. Not an insurance policy but a prepaid plan for access to UHS services. As a service to its members, the U-M Alumni Association offers several types of insurance coverage. How UHS Works with Health Insurance lists contracted and in-network plans at UHS, explains the health service fee coverage for students, and suggests what to ask your insurance company when you're seeking medical care.